A few days a go I told that I had discovered that my Winamp mediaplayer offers a free song-of-the-day. But it also happens to offer radio stations. Including a non stop re-run of Art Bell shows! I used to love to listen to the Art Bell shows in the days that I only got them on cassette tape. Mike James taped some shows for me, I guess 20 years ago. Later I got them as mp3’s on CDr from John Koenmans. Again later I found several sites that offer collections of the shows as mp3 files. I never managed to listen to the shows on line. You had to become a member and although I tried many times, it never worked. I still have several mp3-CDr’s with shows, so if anybody is interested, just ask. But they are pretty easy to find on line, otherwise I wouldn’t have found them! The Art Bell show was a daily three hour show about mysteries. The amusement factor was high, and four out of five shows featured guests and topics that were way beyond my mystery level, but Art Bell was a great host, with a great radio voice and from a psychological viewpoint the show was almost always worth listening to. And there were shows that were simply fascinating. Some voices of my favourite writers on mystery, like Colin Wilson and Graham Hancock, I heard for the first time on the Art Bell show. Art Bell retired a few years ago, when the show was already mainly hosted by George Noory. 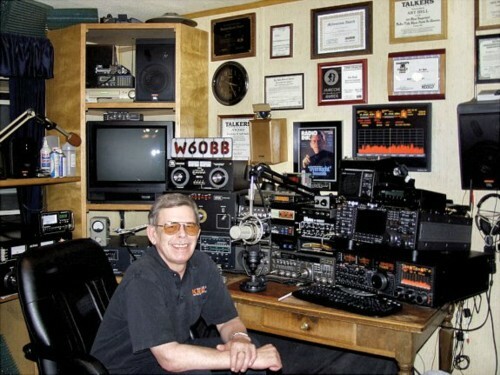 He is very different from Art Bell, and apart from an occasional guest, I lost my interest in the show. But for the past few days I have been listening to old Art Bell shows while working. I have some lettering to do, so that was fun. I realised how much my ideas and opinions about mysteries have changed in the past ten or so years. I no longer believe that most people tell the truth, especially not people who make a career out of their words, and I also no longer believe that so many people know so much more than I do on subjects that have had my serious interest for several decades. And last but not least: most of the data on mysteries is only second, third or even fourth hand information, better known as hearsay. When you limit your data diet to first hand information there is usually little left of a mystery. Most of the so-called mysteries don’t mean anything to me anymore. My fascination for the Mystery is still there, but it has shifted to more subtle topics: Language, the workings of the mind, drugs, Time, etcetera. Listening to somebody telling nonsense on a topic can be inspiring too, by the way. That is why I still can listen to these old Art Bell shows. 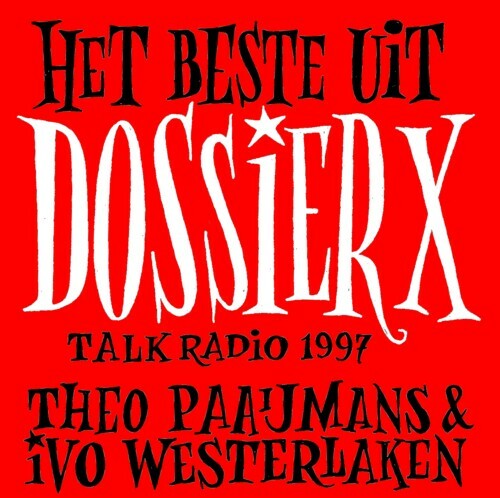 In the nineties there was a Dutch talk show on Talkradio that covered the same topics as in the Art Bell Show: ”Dossier X” . This weekly radio show was hosted by Theo Paaijmans and Ivo Westerlaken. I recorded many shows (on minidiscs) and later put all the best fragments on one CD.